Happy Monday! Are ya’ll ready for fall? This weather is perfect for spray paintin’! I picked up this little guy at a thrift store for $5.00. And I spray painted it with 3 thin coats of Krylon Fusion in Bright White Gloss. I added a lampshade I found at the same Thrift Store. The lamp shade was still tagged from it’s original retail home for $59.00. But I snagged it for $4.00! So in total, including the spray paint, my lamp cost me around $13.00. 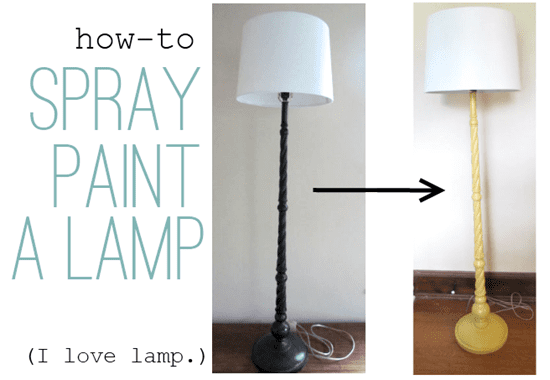 And while we are at it, let’s peek at 9 more spray painted lamp inspirations! 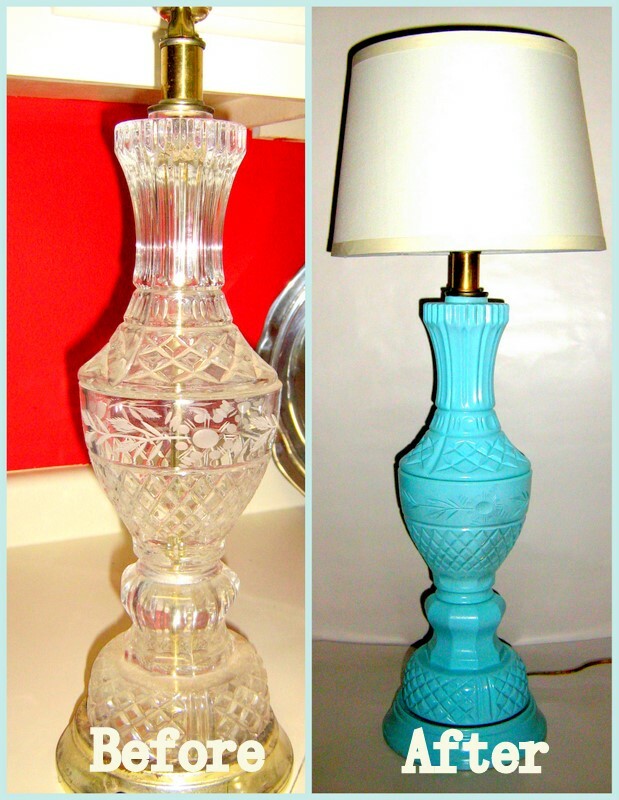 The Frugal Homemaker took similar brassy lamps and spray painting them bright white! 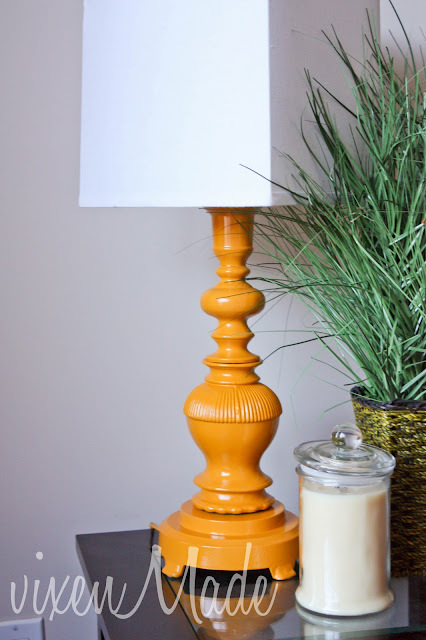 Vixen Made spray painted her lamps in this fun shade of orange. White House Black Shutters totally revamped this floor lamp using spray paint! 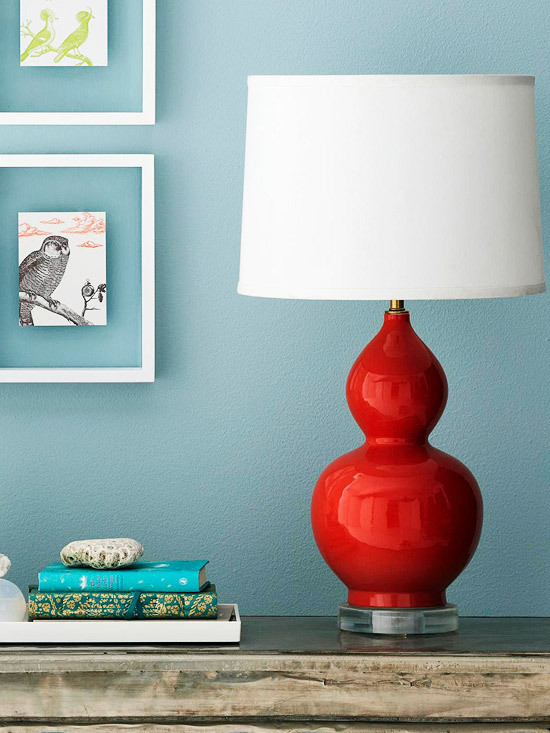 This Handmade Circus took a grandma-hand-me-down looking lamp and transformed it into a turquoise treasure. Kimmy Noonen spray painted this lamp for a nursery and added this fun lampshade. 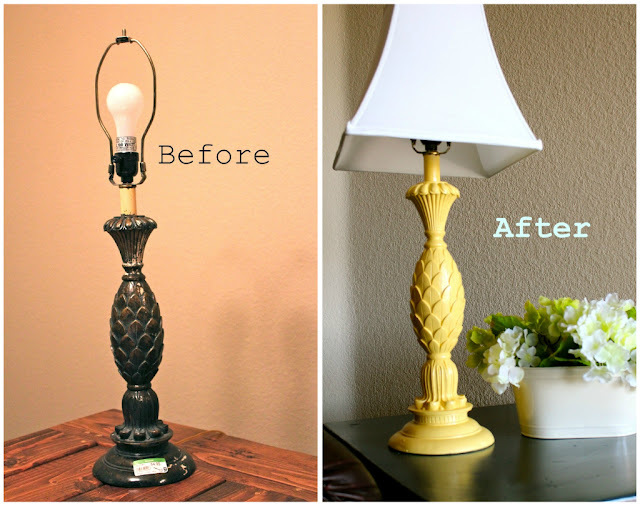 Positively Splendid reused her lamp AND the shade both with spray paint! 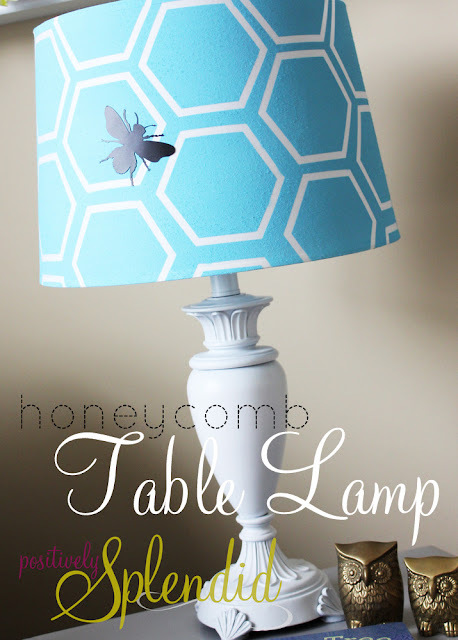 Loving the honeycomb design! This lamp from Thrift Décor Chick is adoraballs spray painted in brushed nickel. This pineapple shaped lamp from Remodelaholic is recycled with a simple spray of yellow. And a quick shout out to my banking BFF, Cliff, for the title of this post, Revamp My Lamp. Back in my office days he revamped his own lamp and brought it up to the office to show me. He told me he was going to start his own blog called Revamp My Lamp. And then we proceeded to laugh until we cried. Oh, sometimes I miss office banter! 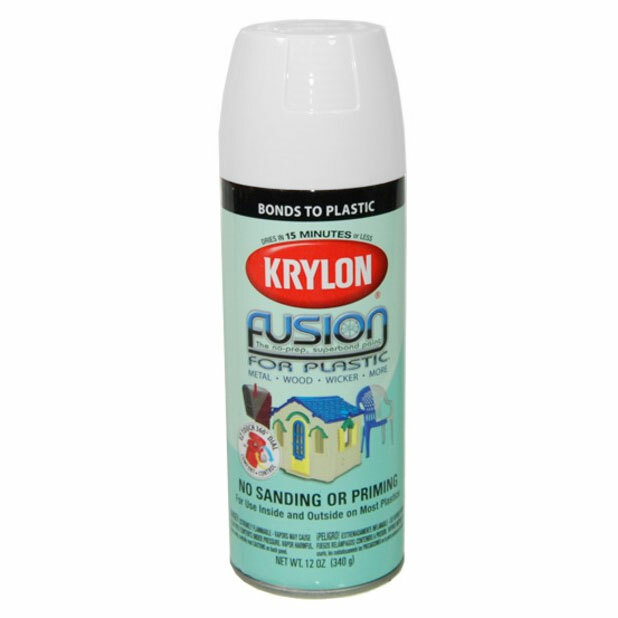 What can you revamp with a can of spray paint? I took one of those big brassy bulbous lamps and sprayed it a bright turquoise. I also painted the finial on top of the harp the same color. But I left the shade off and used an Edison bulb from Home Depot instead. It isn’t what I would use to read a book by, but as far as a fun and funky accent piece, it looks really cool! Thanks for the roundup! Jessica, thanks for stopping by! Your project sounds fun! Yay! Tweet me a pic when your done! Thanks so much for including our lamp! These are such great ideas!